SIMPLE recipe! You gotta try! Cover a large flat sheet pan with foil for easy cleanup. 1 LARGE head cauliflower, sliced into flat, disc like pieces as shown. (larger heads of cauli work best!) you will have extra unused pieces-reserve for another meal. Brush cauliflower(both sides) with oil. 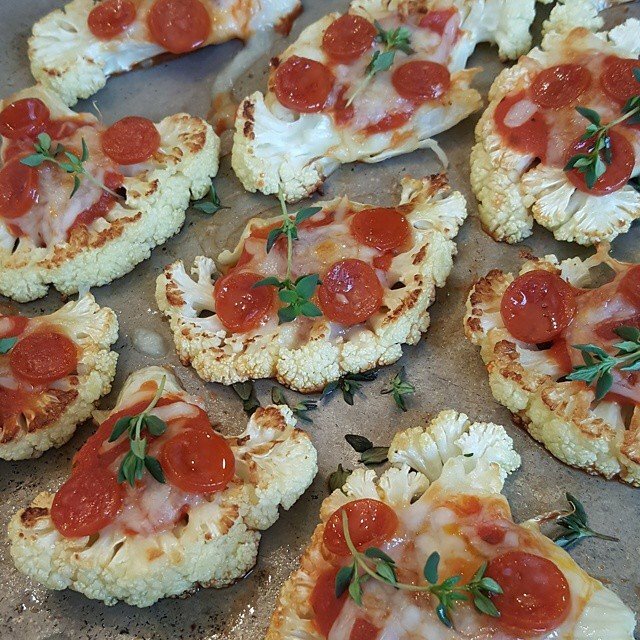 Lay flat on a large sheet pan. Sprinkle with sea salt & a touch of garlic powder. Roast in your preheated 400 degree oven on a flat sheet pan for about 10 minutes per side. 20 minutes total, flipping once. We want em’ golden brown, and a little crispy! Remove from oven. Heat oven to broil. 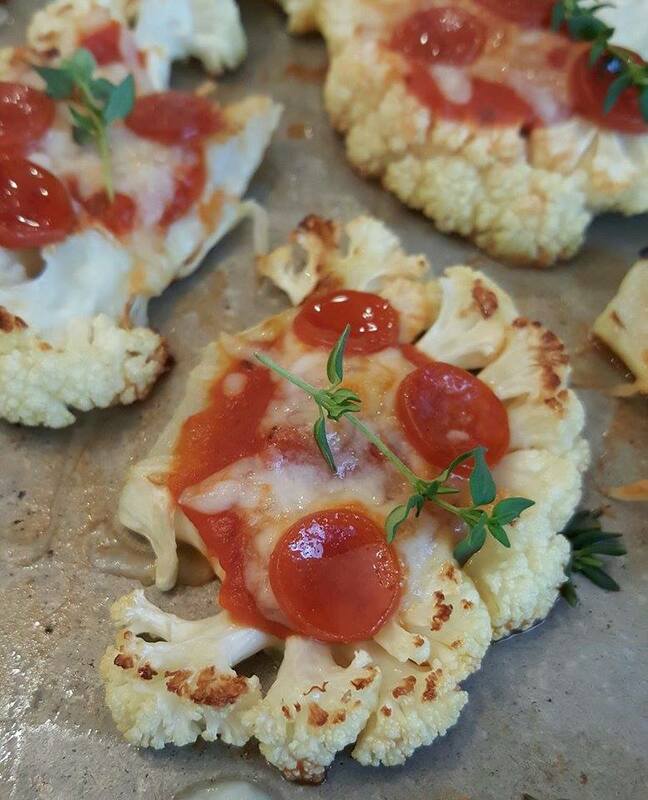 In the mean time, place a tiny tsp dollop of pizza sauce onto the center of each cauliflower bite, followed by a tiny pinch of natural mozzarella(or fav Italian cheese), and pepperoni. I cut my pepperoni with a mini cookie cutter, alternately-you can cut larger pepperoni into fourths. Place pan back into the oven & broil for 1-2 minutes until bubbly.